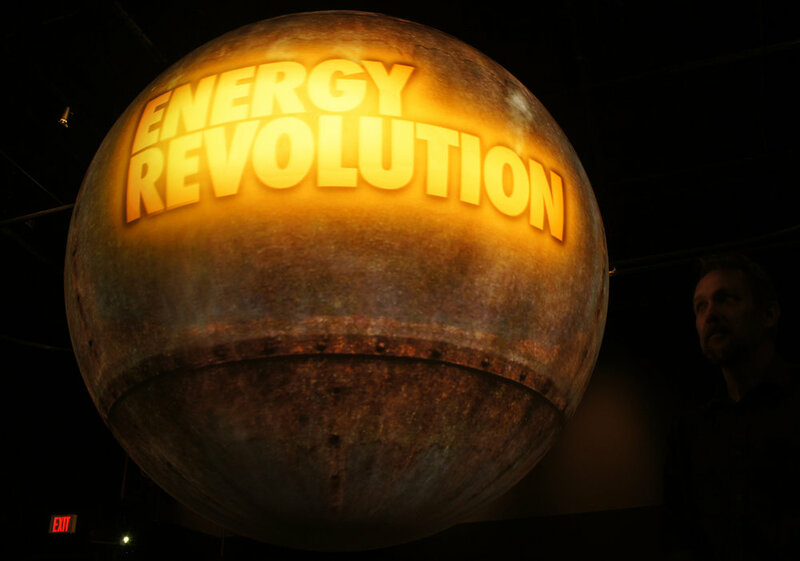 ENERGY REVOLUTION is a spherical film that headlined American renewable energy outreach initiatives at the U.N. climate change conference in Copenhagen in 2009. 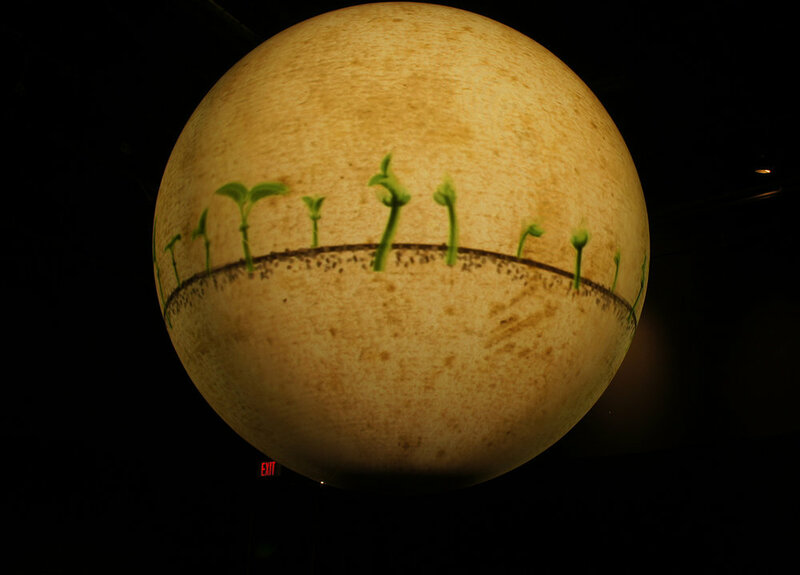 It continues to play in science museums around the world. Carl and I had the honor and pleasure of being among its creators. 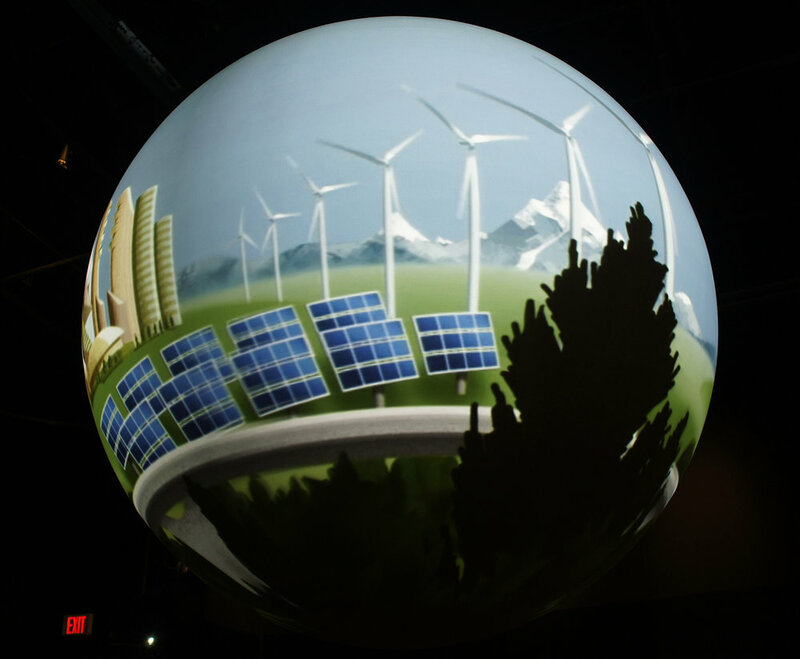 The film utilizes ground breaking technologies developed by NOAA and NASA that enable the projection of video onto a sphere. 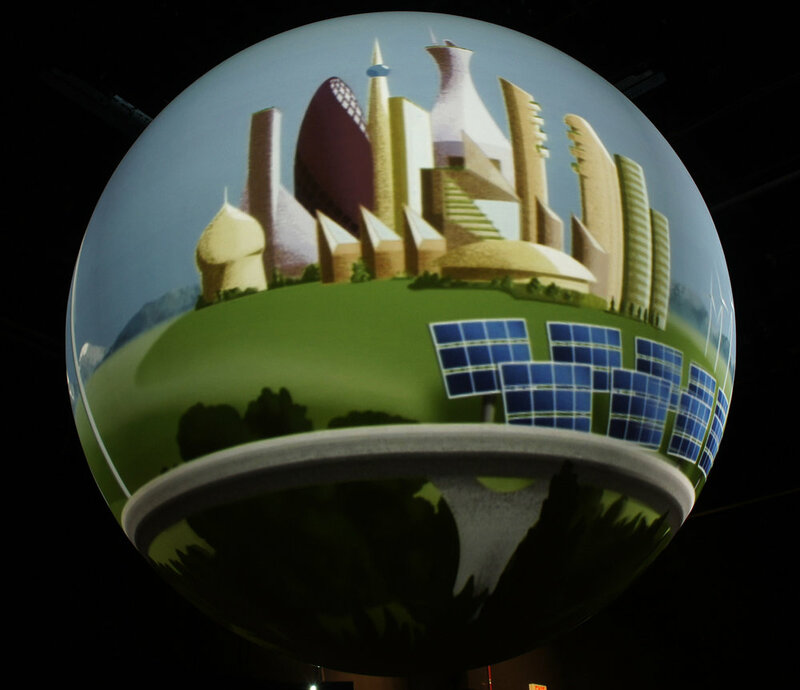 The filmmaking process necessitates understanding how projection on a sphere will distort an image created on a flat monitor, and how to design for a seamless repeat. 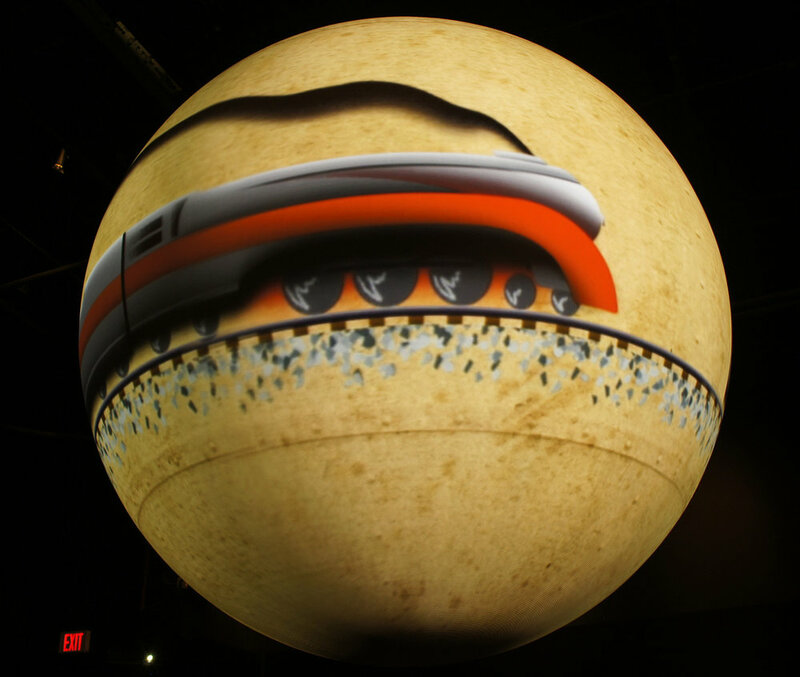 The finished moving image is then split among four projectors and seamlessly 'wrapped' around a spherical screen using software that was literally developed by rocket scientists. I took these photos at NASA's Goddard Space Flight Center just outside of Washington DC. The sphere is only 6 feet across but it is a stunning experience to see it in person. I'm very lucky to have played a small part in the making of this video.